As we approach the Monday Keynote, more information has surfaced about Apple’s anticipated iRadio music streaming service. Following an earlier rumour of a possible ad exchange, suggesting that Apple is breathing new life into its iAd service, a new report coming from AdAge confirms this and shares new details of the iRadio service. Speaking with a former Apple executive and one music industry executive with knowledge of the situation, AdAge reports that iRadio will be a free music streaming service and will feature audio ads, which typically are more costly than banner ads. Selling interstitial audio ads — ones that play between songs — will allow Apple to offer the service free to users as is typical with most streaming music services. One music industry executive familiar with the negotiations between Apple and the major record labels said the terms of iRadio are more favorable for record labels than other streaming services because iRadio is expected to drive more song downloads. 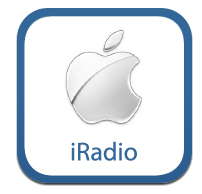 iRadio users will be able to purchase the song they are listening to through iTunes. Syncing with iTunes Match ($24.99 per year) will allow users to own those songs forever, keep them in Apple’s cloud-based storage service and access them on any iOS device. 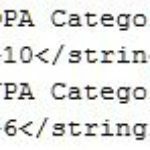 However, the service will not allow users to search for and play a specific song on-demand, like with Spotify. Also, the ads pushed through iRadio will be highly targeted. Apple’s music service will permit targeting of consumers based on their tastes, according to the former Apple executive. And given the fact that iRadio is integrated with iTunes, the company will be able to target users based on what movies, TV shows and mobile apps they have on their devices. This sounds interesting for the majority of marketers. Apple plans to cover costs by retaining 90 per cent of the targeted ad revenue, compared to its current 70 per cent of iAd revenue. This means music labels will receive only 10% of the ad revenue. From what the sources reveal, iRadio will compete directly with Pandora, but it will be more viable as it will be able to charge higher ad rates than its competitor, given its available multiple factor targeting options. Apple has already closed a deal with Universal Music Group and recently with Warner Music Group. It remains to be seen if the next few days will be enough time to reach an agreement with the remaining major labels.